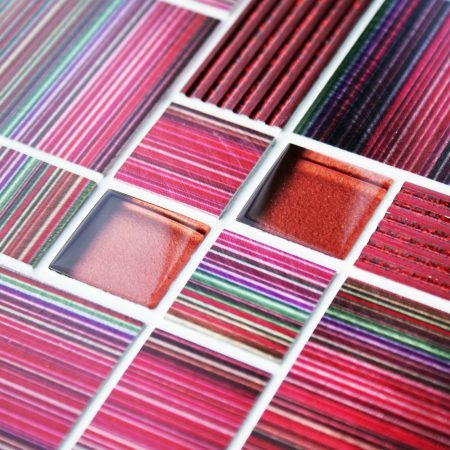 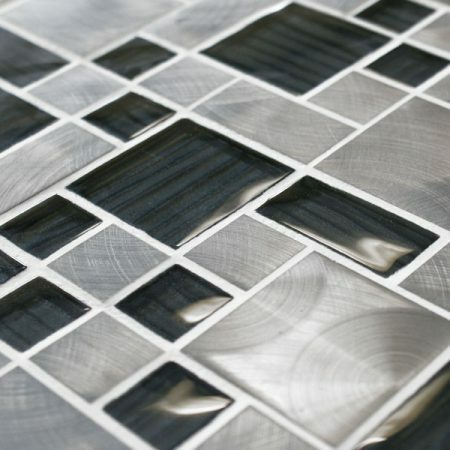 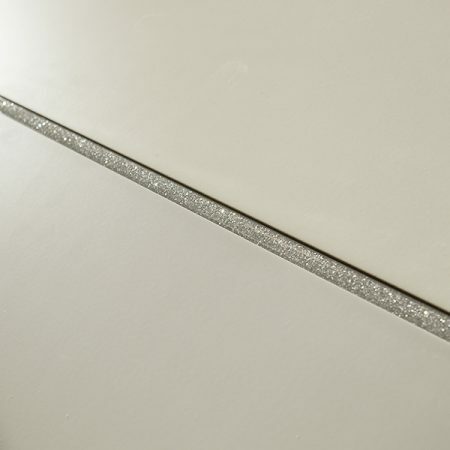 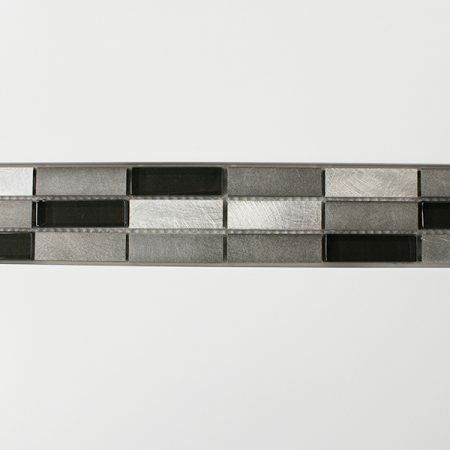 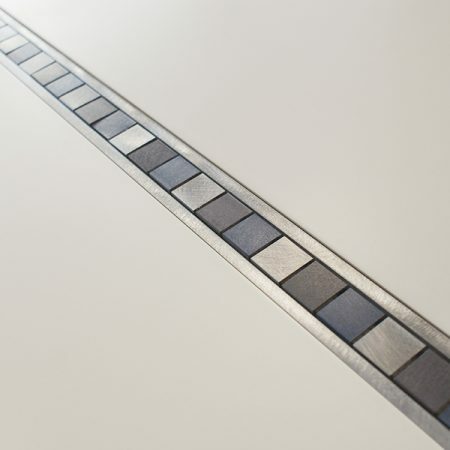 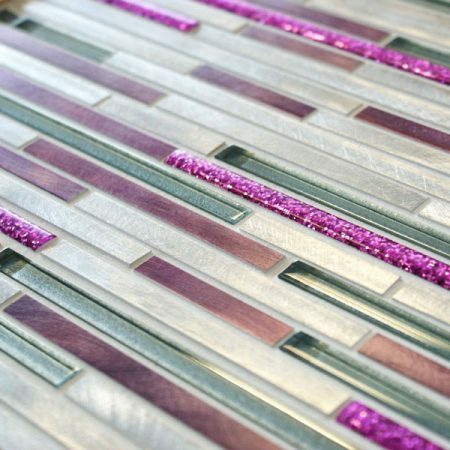 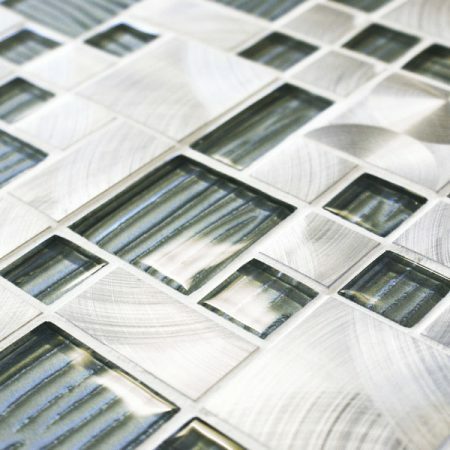 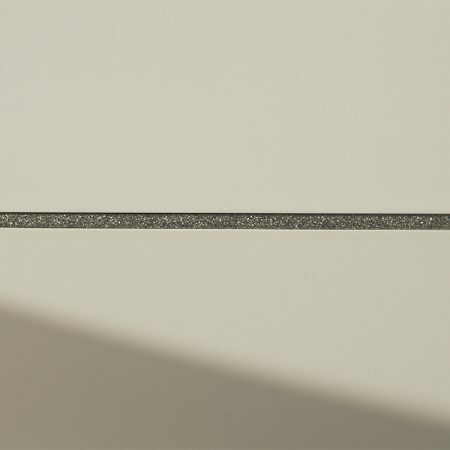 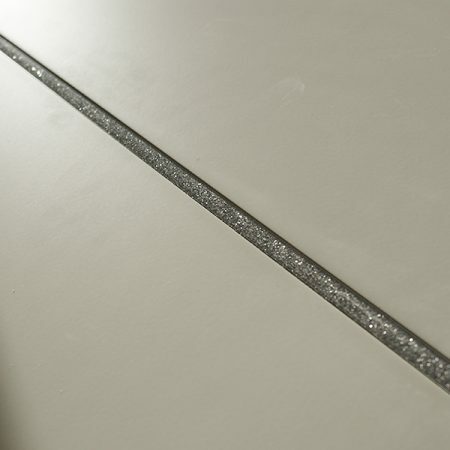 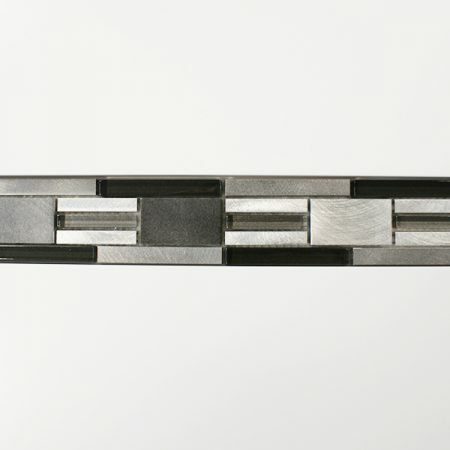 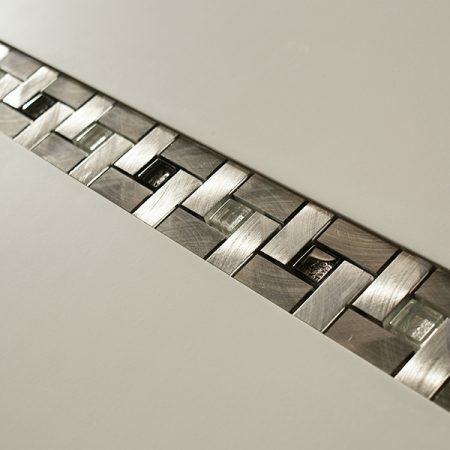 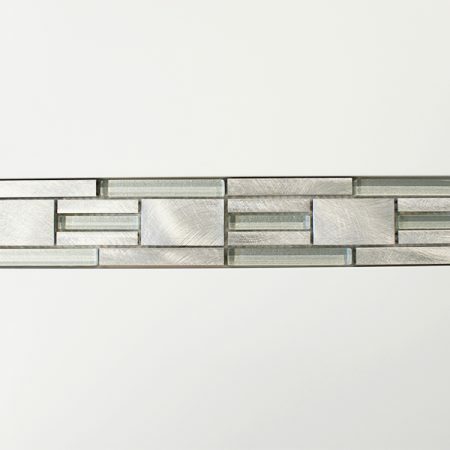 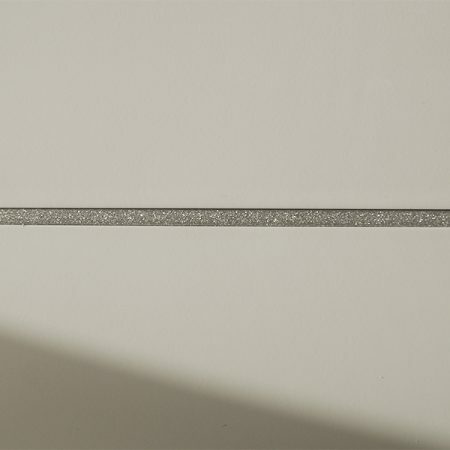 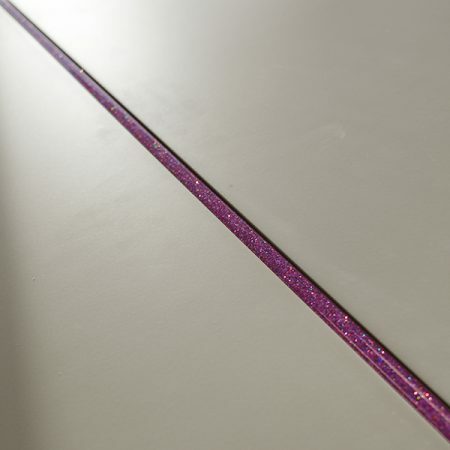 The fabulous fusion of strong lines, sparkly designs and tactile surfaces makes Metal Works a tile range like no other. 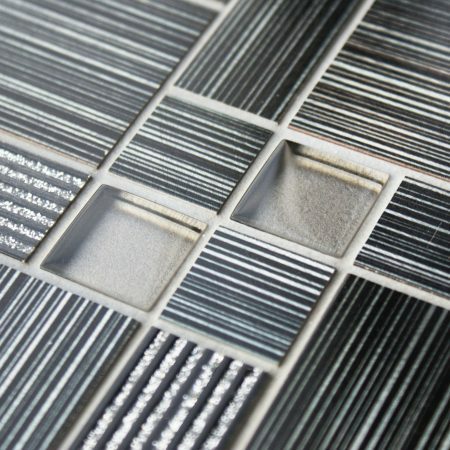 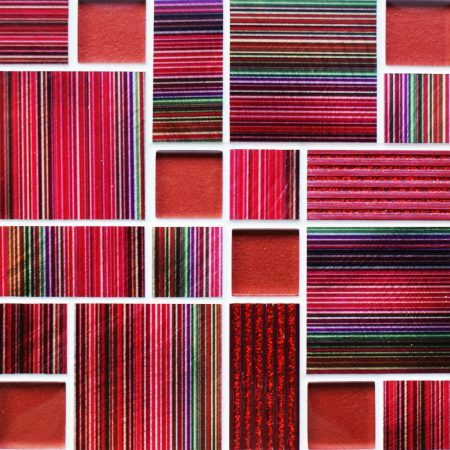 This contemporary collection creates a striking statement in modern kitchens and bathrooms bringing light, colour and texture to into the mix. 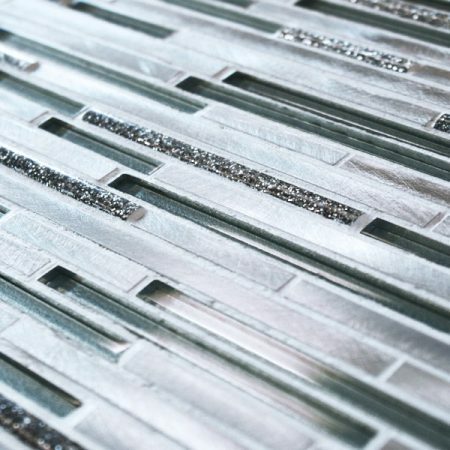 The beauty of the Metal Works range lies in the endless options, possibilities and combinations. 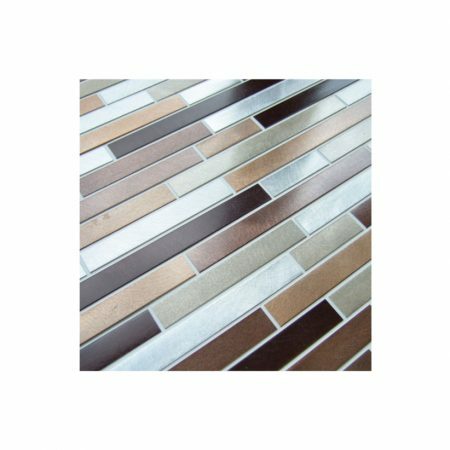 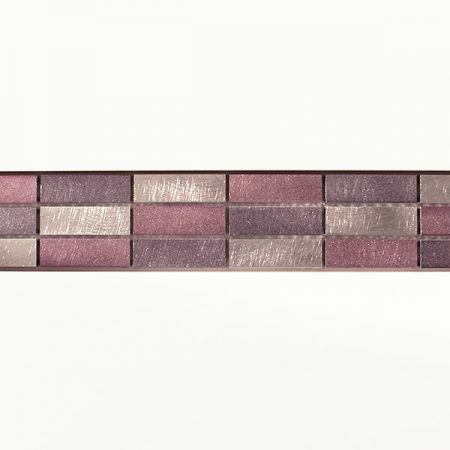 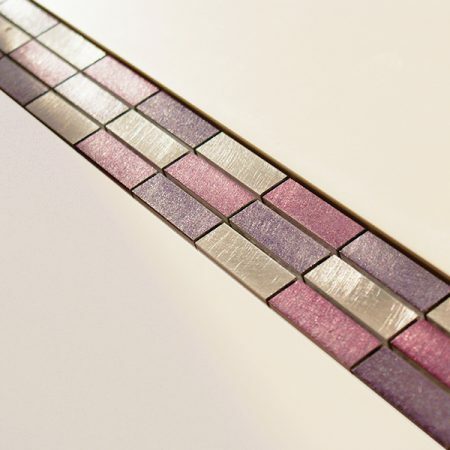 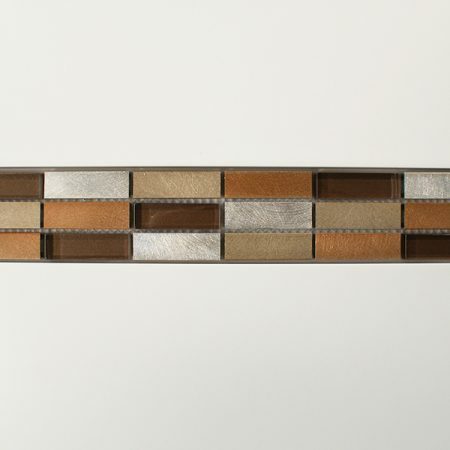 Select from three stunning mosaic-style tiles, Chromium Brown, Chromium Pink and Chronium Grey, featuring soft subtle hues and an elegant mix of small square and rectangular mosaic tiles. 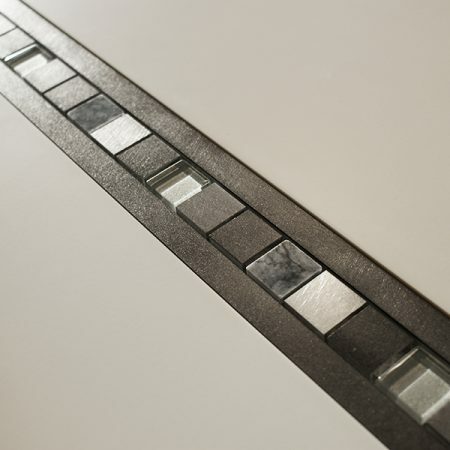 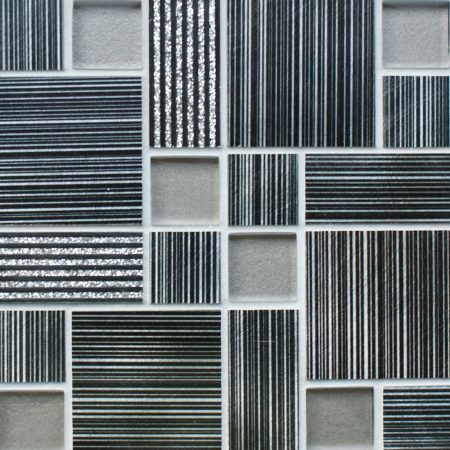 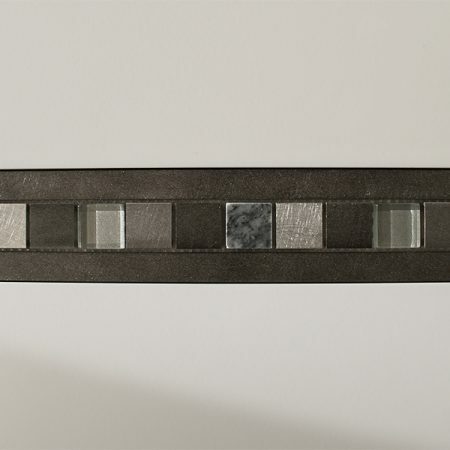 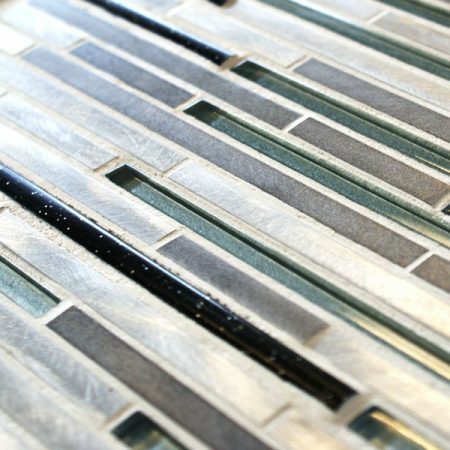 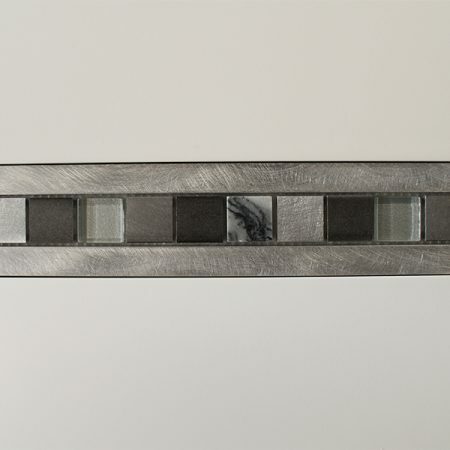 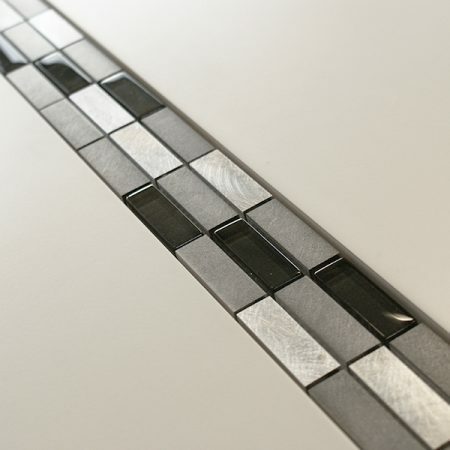 Make your mark with the edgy Alloy and Mercury border tiles featuring glass and metal mosaic tiles in pewter, grey, black and silver, with a selection of textures and finishes. 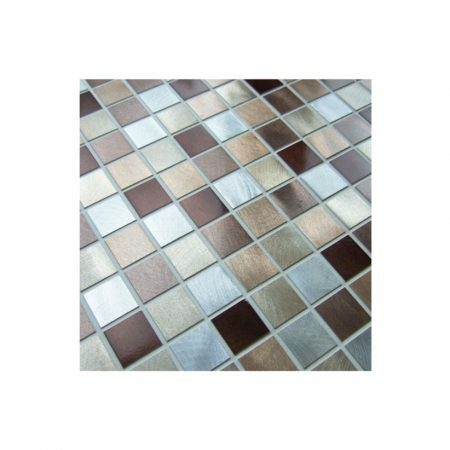 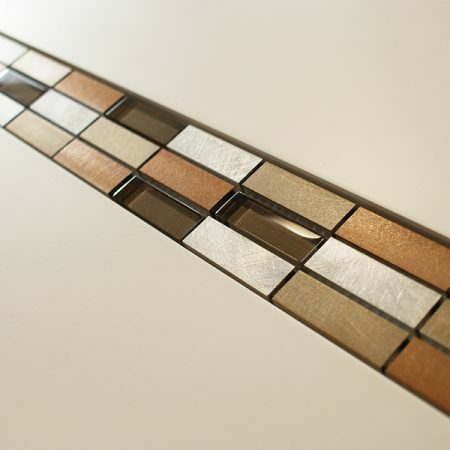 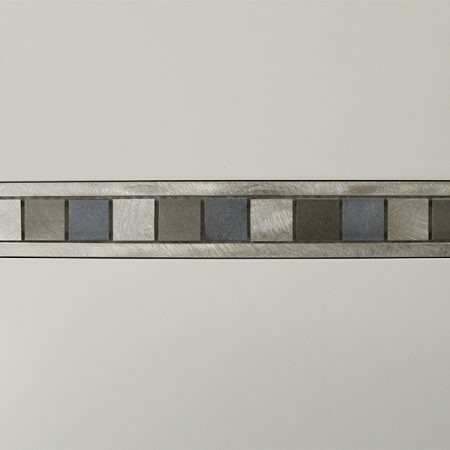 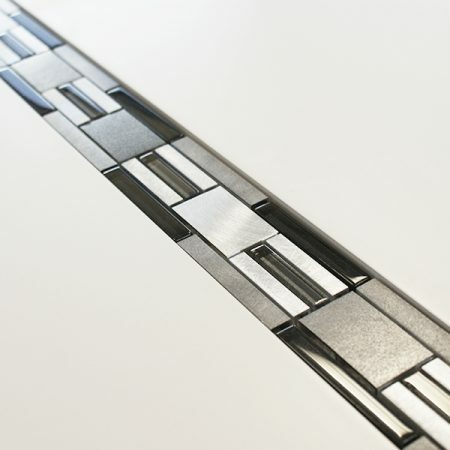 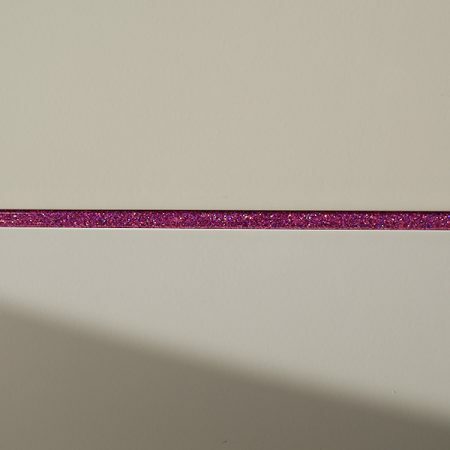 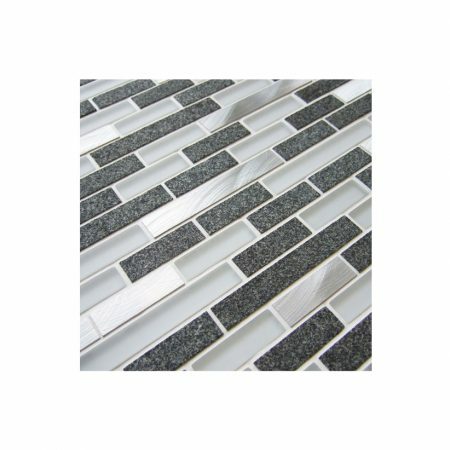 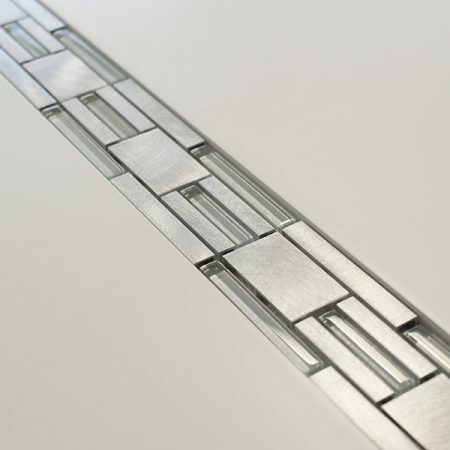 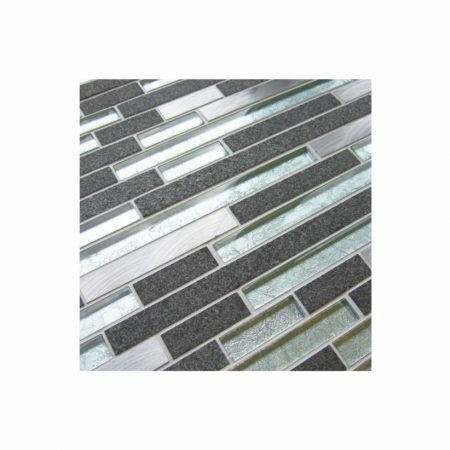 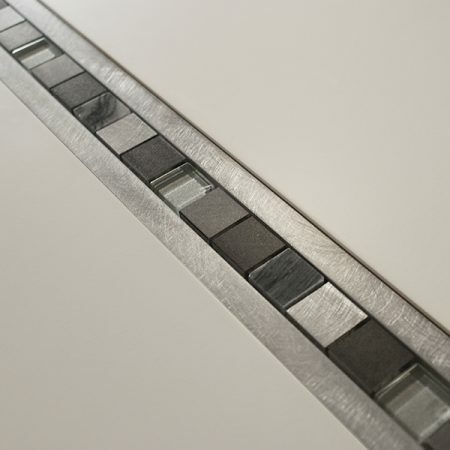 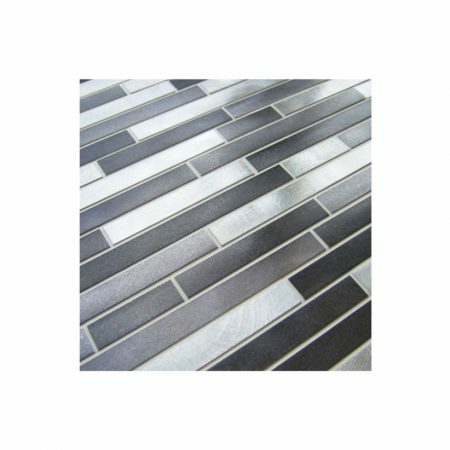 Be bold and creative with Metal Works Sparkle, long metal and glass mosaic tiles combined to create a captivating border, available in either Pink, Silver or Black colourways.